HASLC will conduct a rent reasonableness study to determine reasonable rents. Reasonable means the rent amount is comparable to market units in the immediate area. In comparing units, HASLC will consider the items listed below. If the requested rent is not approved, the HASLC will propose a contract rent to the owner. If the proposed contract rent is approved by the owner/agent, processing will continue. 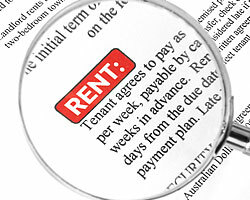 An owner may request an increase in the contract rent in a certain time window. The window is between 120 and 60 days prior to the tenant’s lease expiration. Send the rent increase request to rent@haslc.com. Click on the landlord link to obtain the form. The HASLC will conduct a Rent Reasonableness study to determine and document whether the requested rent increase is reasonable.